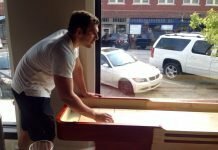 Whether you’re a bar owner or just looking for a new game table for your home, finding the right shuffleboard table size can be tricky. 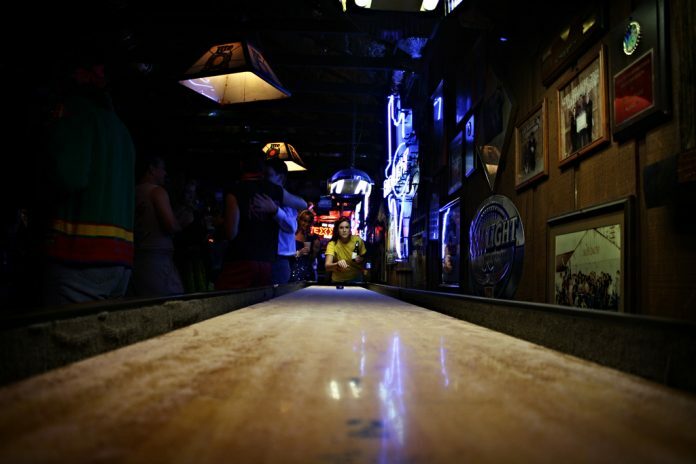 In general, shuffleboard tables are long and narrow. The average height of a table is 30” and width of the playing surface is 20”. 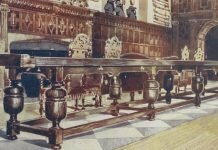 But the lengths on quality tables vary widely, from 9 foot recreational tables to the official tournament size of 22 feet. The right shuffleboard table size therefore depends on a few factors, including available space, budget, and desired playing style. 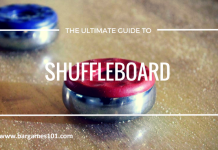 In this post we’ll look at the main shuffleboard length categories and discuss the pros and cons of each. If you have limited space the best options to consider are 9’ and 12’ shuffleboard tables. These tables are perfect for tight spaces in homes or apartments. 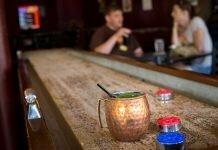 They also work well for bars or venues that want to add multiple tables into a single space. 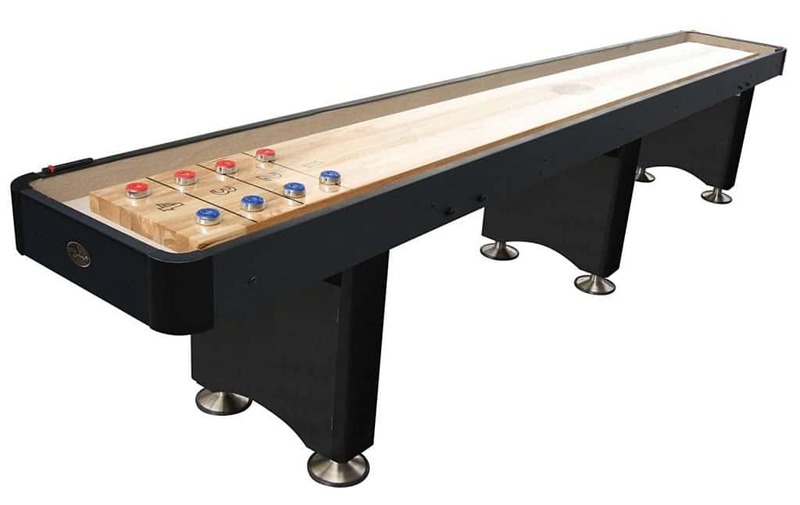 A 9 – 12 foot shuffleboard table is great for putting multiple tables in a rec space. Shuffleboard tables in the 9 – 12 foot range include budget friendly options. These are entry-level tables that will make a great addition to any gameroom and allow for hours of full fledged shuffleboard matches. These tables typically include composite materials and allow for quick assembly. One example of an entry-level and all around fun table is the Playcraft Woodbridge Shuffleboard table. 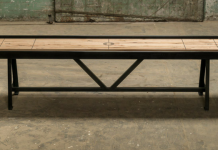 This is a perfect entry level shuffleboard table. You still get a thick hardwood playing surface, coated in polyurethane, with a stable set up and the 1-2-3 traditional scoring design of standard shuffleboard tables. With sturdy legs and durable construction, this table will work well for kids or adults. Another budget friendly option in the 9 – 12 foot range is the Hathaway Challenger Shuffleboard table with dark cherry finish. This table has a urethane finished playing surface and built-in storage cabinets. Both tables above include butcher block playing surfaces, carpet lined gutters and plenty of stability for most players. But there are plenty of high-end, high-priced options in this category as well. That’s because the length is only one factor in shuffleboard construction. The rest comes down the quality of materials, craftsmanship and added features. Just take a look at the Oxford. This table is handmade to order and features hard rock maple construction with climatic adjusters. It also retails for over $8,000. Keep in mind that playing on a 9 – 12 foot table is different than playing on a full length table. If this is the size you have in mind, the style of play will need to be slightly more delicate and precise. Plus, you will need to use the right kind of shuffleboard powder or wax. Specifically, this shuffleboard table size range requires a controlled blend, rather than the high silicon content speed blends. Bottom line, there are plenty of options in the 9 – 12 foot range. Note: The actual playing surface of a shuffleboard table is about 16” less than the length of the cabinet. The mid size range for shuffleboard tables is from 14 to 16 feet in length. These tables are better for serious players or homeowners who expect a lot of use but still have some space restrictions. Tables in this size range are still plenty long, though, and will certainly give you the feel of playing on a full sized table. A beautiful medium length shuffleboard table can really make a room. Also, with tables like this you can use faster waxes and have a little more room for creative shots. Of course these tables are considerably heavier, require more space and take longer to assemble. But you also take a step up in quality and cost with tables in the 14 – 16 foot range. For instance, a 16 foot shuffleboard table like the Venture Ambassador is a premium quality build with all the features you would expect from a high-end shuffleboard table manufacturer. The Ambassador is still only 16 feet. That saves you 6 feet compared to a full length table but with all the benchmarks of a top end table that will suit the needs of novice to highly skilled shuffleboard players. 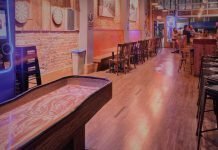 A medium length shuffleboard table is usually the perfect addition to a bar or open game room space. The next level up are tables in the 18 to 22 foot range. The official length for shuffleboard tournaments is 22 feet. But an 18 foot table is going to feel pretty long for most of us. If you are able to accommodate (or afford) a table in this size bracket, then you will be adding a truly unique piece to your room, whether at home or in the bar. You need a lot of space for a full length shuffleboard table. How about right in the kitchen? These tables are showpieces, with fine features, high-quality hardwoods and structural components and plush finishes. You really can test your skills on a full length shuffleboard table. And you’ll need to make sure you use the right kind speed wax to reach the other end. If you’re interested in a full length table, keep in mind that these tables may weigh several hundred pounds and require 4 or more people to install and assemble. They come in several pieces and are shipped in multiple containers. As you can see, there is a big difference between a 9 foot table and a 22 foot shuffleboard table. With so many options within that range, hopefully you can find the best table for your space. Once you do, you’ll have no shortage of guests at your home or bar.